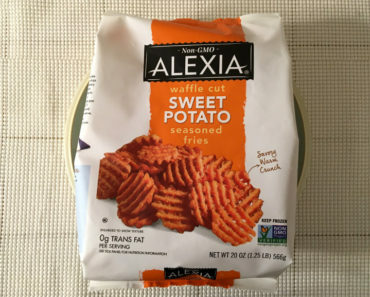 None of our staffers avoid gluten, but we still appreciate it when we see low-carb dishes in our freezer aisle. As fans of frozen food, we want to make sure there are options for everyone. 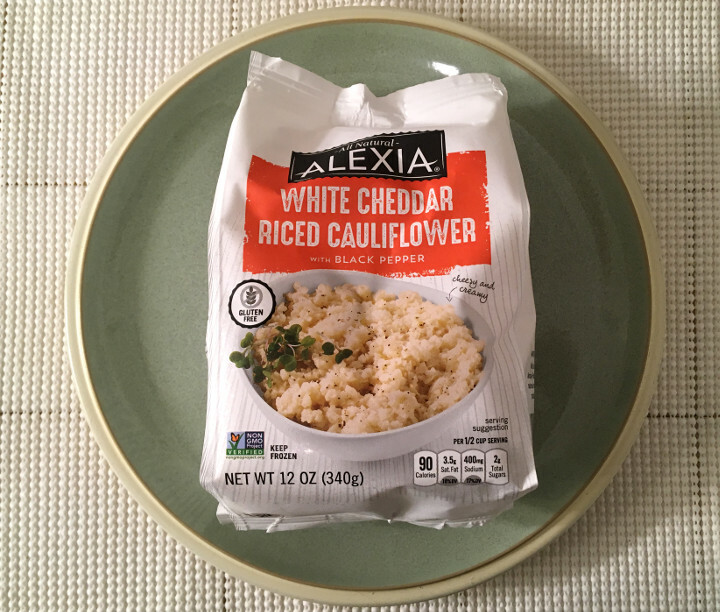 If you’re trying to cut gluten or carbs out of your diet, Alexia White Cheddar Riced Cauliflower with Black Pepper is something you might want to check out. 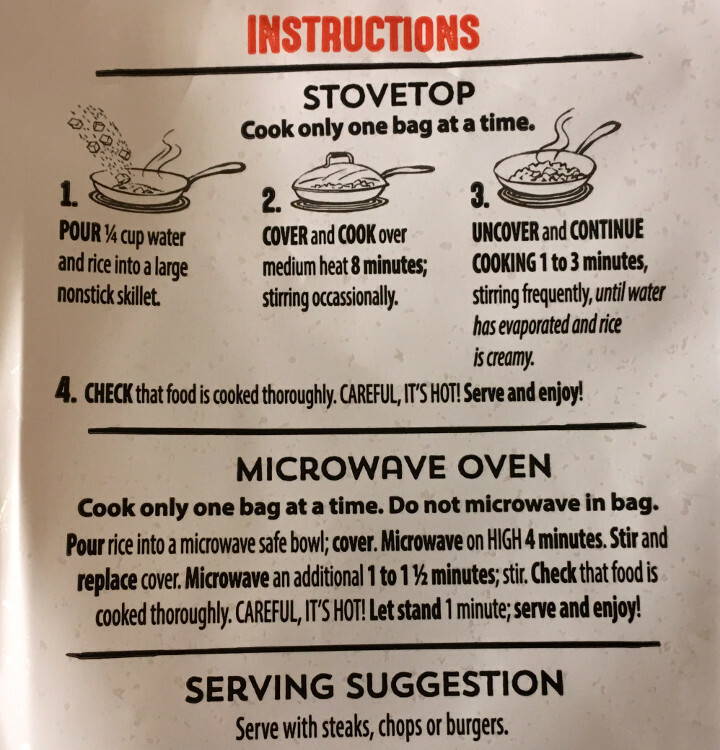 Usually, when a dish includes both microwave and stove-top instructions, we opt to cook it on the stove. However, because we didn’t have a cover for our skillet on hand, we decided to toss this frozen side dish into the microwave instead. It took about five minutes to heat, and when everything was done, our cauliflower was cooked perfectly. 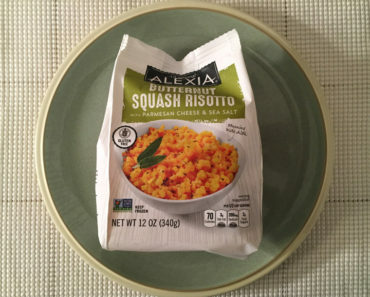 The melted cheddar gives this dish a creamy texture that reminds us of a lot of risotto. 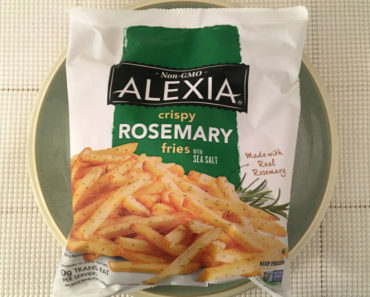 The black pepper seasoning isn’t overpowering, but it does give the meal some flavor. The cauliflower would be a nice side dish with a burger or some protein, but you could also make it into a meal by tossing in mushrooms, sausage, or whatever veggies you have lying around the house. 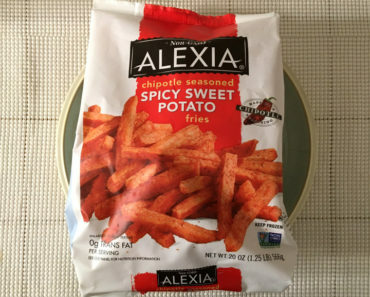 If you are making this into a meal, a bag is going to feed two people at most. 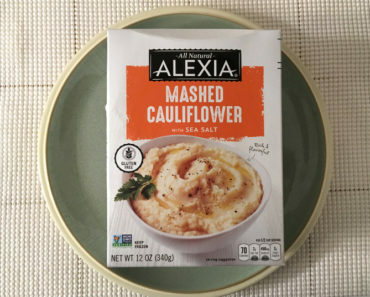 Thankfully, this cauliflower bowl is light on calories; there are only 260 calories in the entire bag. Because of all the cheese, it’s a little high in fat, but if you’re following a keto diet, that may not be a bad thing. We really enjoy this cauliflower dish. The creamy flavor makes it feel a lot like comfort food, and simple meals like this can be a base for something special. 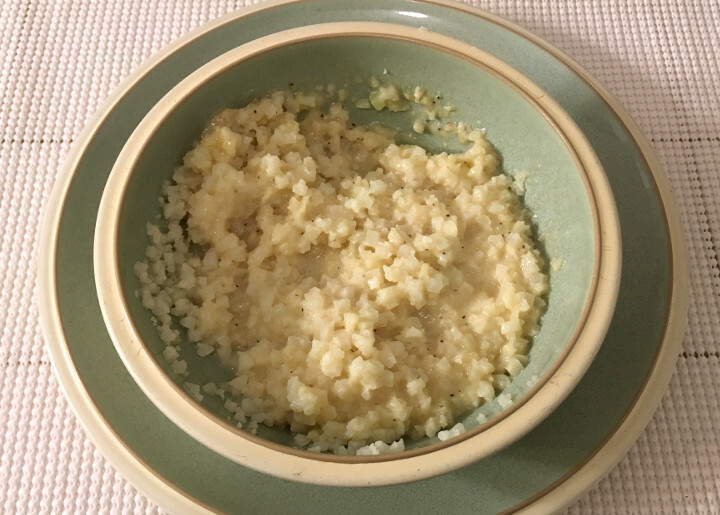 If you’re searching for gluten-free frozen meals, Alexia White Cheddar Riced Cauliflower with Black Pepper is simple, tasty, and reasonably healthy. 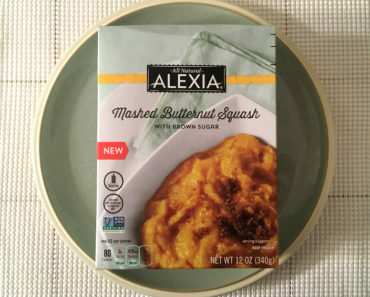 To learn more about the cooking instructions, nutrition content, or ingredients for this Alexia frozen food, check out our package scans below.